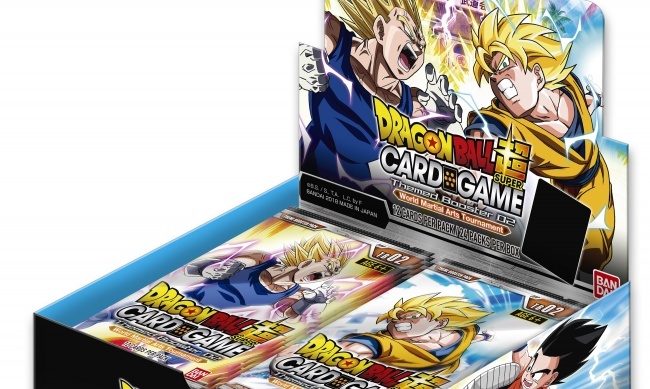 The battles in Bandai Japan’s Dragon Ball Super Card Game will spill into Fall with the September release of World Martial Arts Tournament, the second themed booster pack set, followed by a new tournament-ready Draft Box in October. 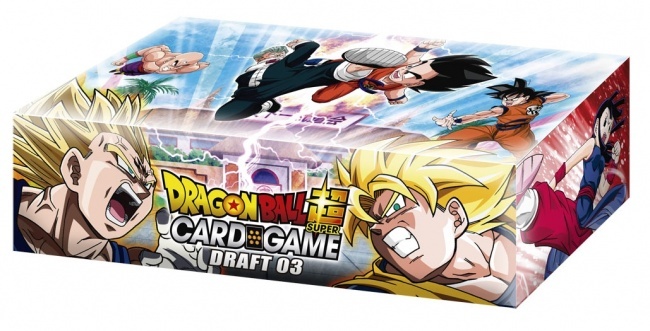 Building on the game’s summer releases (see “‘Dragon Ball Super Card Game’ Summer Releases”), the World Martial Arts Tournament set focuses on the powerful contestants of a global series of tournaments. Different tournaments are keyed to the different card colors in the game, making it easier for players to construct decks based on the new themes. 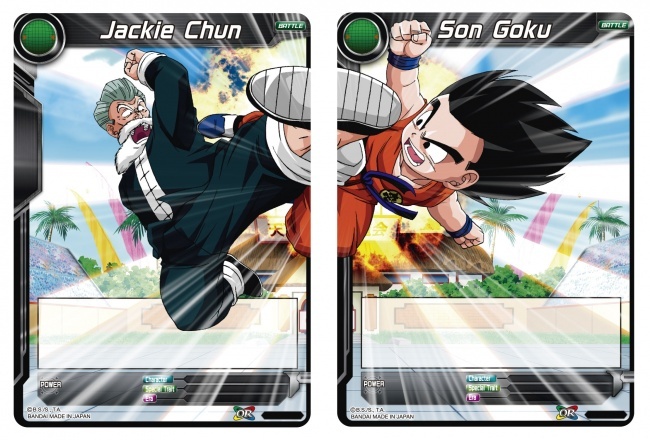 While fully compatible with earlier sets, this set is also designed to play well on its own so players can begin playing Dragon Ball Super using only cards from this set. As an added feature, some cards in the set are designed to link together, and have illustrations that connect to each other. These cards will also have linked abilities, making them more powerful when used together. A special Secret Rare card will also appear in the set, and it will be the first card for the game that includes two characters on the same card. World Martial Arts Tournament will be sold in 12-card booster packs with an MSRP of $3.99 each. In total, the set includes 125 cards, with 30 common, 18 uncommon, 12 rare, 8 super rare, 8 special rare, and 1 secret rare card. 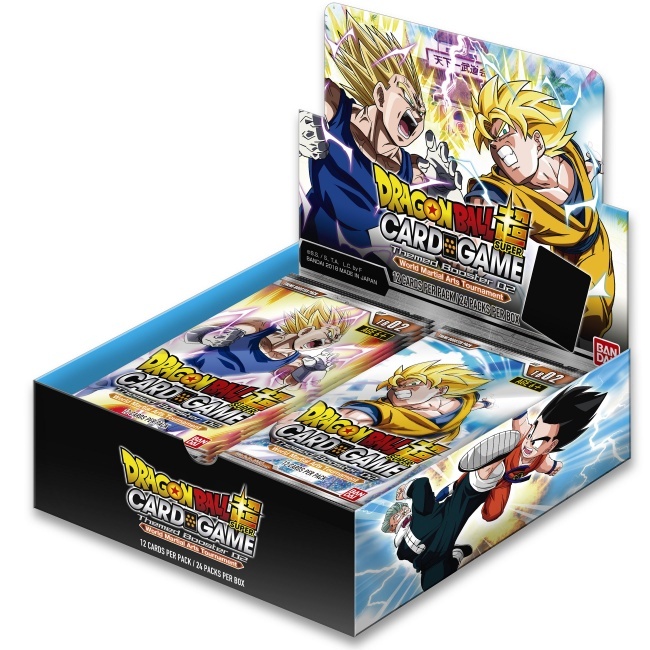 To support draft-style tournaments, Bandai is also offering a new Draft Box 03, which will include 12 booster packs from Series 4 and 12 World Martial Arts Tournament booster packs, as well as 4 identical foil leader cards, randomly selected from four possible cards, and an exclusive foil card for the tournament winner. MSRP is $99.99 per Draft Box. All images are Not Final Art. Click on the Gallery below for images of cards from the new set!